A strong typhoon barrelled toward Japan’s northern island on Friday after churning over parts of western Japan already hit by deadly flooding last month. This led to the disruption of transport links with injuries and damages limited. 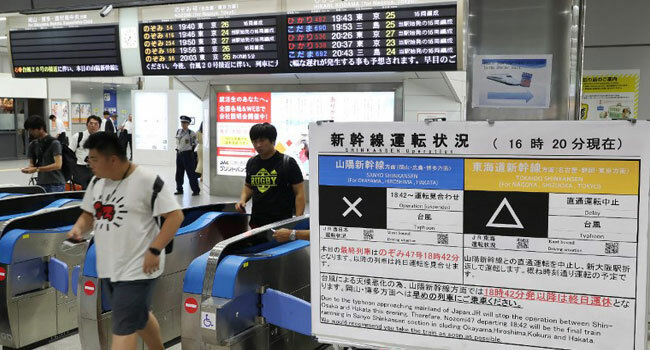 Typhoon Cimaron made landfall late on Thursday and passed over the Japanese archipelago overnight, bringing winds of nearly 200 kilometres per hour (134 mph) and dumping up to 600 millimetres (24 inches) of rain in 48 hours, according to the Japan Meteorological Agency.